An association copy is a copy of a book which has been signed and inscribed by the author for a personal friend, colleague, or person of historical significance. 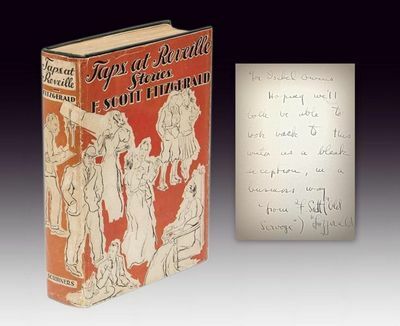 In addition to the signature, the author will generally address the person to whom they are inscribing the book with a salutation and perhaps a personal note. It is important to distinguish between an association copy and an inscribed book. While both have signatures and inscriptions accompanying them, the difference remains that an association copy is inscribed to a a person of significance to either the author or society, rather than to "George". Sometimes accompanying materials such as an inlaid letter are necessary to identify and establish the provenance of an association copy claim. Association copies can be highly desirable to serious book collectors, due to both their significance in understanding the broader context of the author's work and surrounding period of history, but also because of their comparative scarcity and uniqueness.